We were highlighted in the February 2016 issue of Landscape Management magazine for uniquely recognizing employees who go above and beyond their job duties. See the story below. Recognizing well-deserving employees boosts morale at J.W. Townsend Landscapes. Leigh Townsend is pleased with the results of his company’s monthly staff recognition program. Leigh Townsend, president of J.W. Townsend Landscapes, is always looking for ways to invest in his people, and he’s willing to learn from ideas that have been successful at other companies. 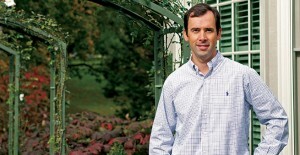 When he heard in his peer group about a successful employee recognition program at another landscape company, he adopted the idea and tailored it to fit his Charlottesville, Va., operation. The idea was an employee standard of conduct and monthly recognition program. Since implementing it, morale has increased and employees have received the appreciation they deserve, Townsend says. The program is called The Townsend Way, and it’s based on the company’s core values: integrity, teamwork, safety, community, client focus and excellence. Employees who exemplify these characteristics are eligible to win The Townsend Way award. Team members nominate peers to receive the award, and it’s announced at the monthly company breakfast. In addition to being honored in front of the company, the recipient’s name goes on a plaque that hangs in the front office, recognition on the company’s website and a small gift. Townsend says the monetary investment in the program is minimal, but taking the time to recognize a deserving employee is invaluable. One of the best examples of an act that lead to a The Townsend Way nomination happened when the recognition program was still brand new. A field staff member had clocked out for the evening when he noticed the nursery manager unloading a delivery truck full of plants. Rather than getting in the car and leaving, he stayed and helped. Although some employees were unexpectedly averse to recognition, Townsend says the program has enhanced an already strong, positive company culture since he introduced it four years ago. Typically, there are five or six nominations for the award and one person often receives multiple entries, so there’s no need for management to weigh in. But if there’s a tie, Townsend polls the executive staff to determine the honoree. Some team members have won multiple consecutive months.